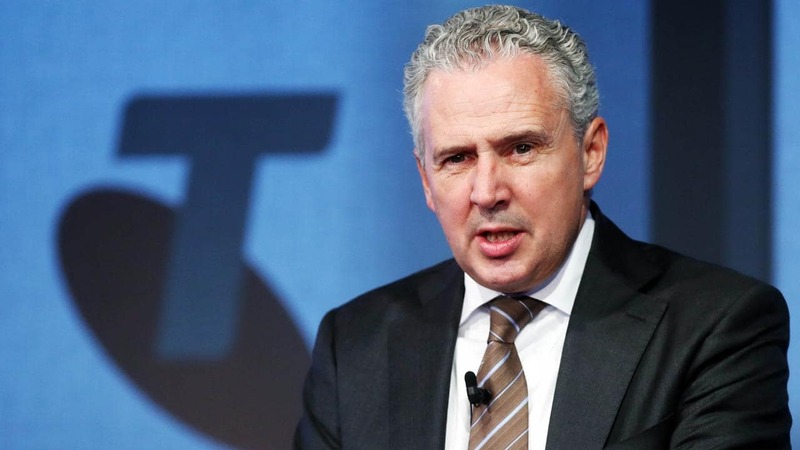 1st October was 'D' day for many Telstra employees as the telco began shedding the 8,000 jobs signalled as part of T22 - a strategy to realign the business and find $2.5 billion in savings. Social media platform, LinkedIn, has been awash with scores of (former) Telstra employees posting farewell updates in the past three weeks. The first round of redundancies was announced on 1st October, with a second round following in mid-October, as the telco began to shed the 8,000 jobs that will go as part of its turnaround T22 strategy. At the same time the telco has looked to tighten up internal expenditure. 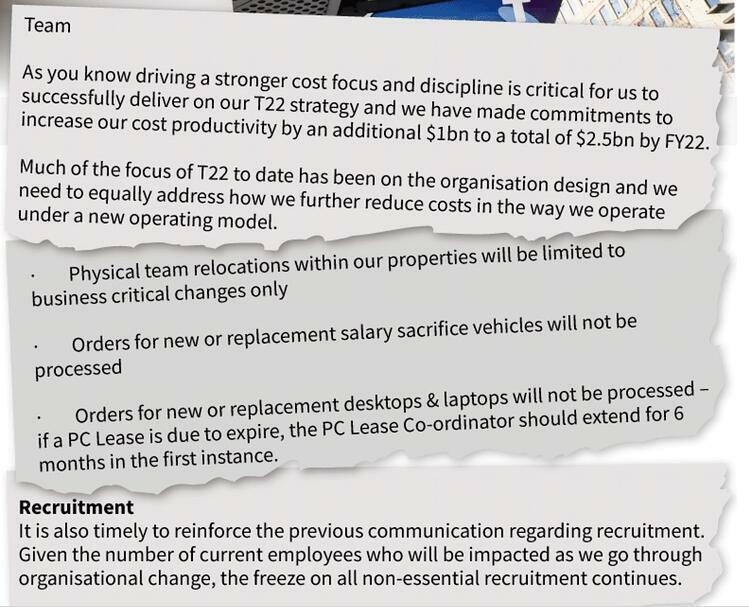 The Sydney Morning Herald has reported an internal email sent to senior leaders by Group Executive of Human Resources, Alex Badenoch, saying new or replacement laptops and salary sacrifice vehicles would not be processed, travel should be limited, and there would be a “freeze” on recruitment except for critical, front-line and customer-facing roles. “I appreciate that these types of cost measures are not always easy, however these changes demonstrate that cost efficiencies are happening across Telstra and at all levels. “Much of the focus of T22 to date has been on the organisation design and we need to equally address how we further reduce costs in the way we operate under a new operating model,” Ms Badenoch said in the email. The cost cutting regime is part of a necessary realignment for Australia's market-leading telco. Profits on the Yellow Pages, home phones and global roaming have gone and are not coming back. Competitive pressure is intensifying on all fronts, and the competitive advantage of having the most reliable network has taken a dent in recent times with a number of high-profile outages. "Our size and legacy that served us so well in the past are now getting in the way of what we need to be today and in the future, given market dynamics and the rapidly changing needs of our customers. "We must act now to ensure we deliver rapidly and effectively on all of the commitments we made to our customers, the market and to you, our team." Penn also wrote to all staff on 1 October referring to the date as a "milestone." Penn said that the new structure is designed to “address the impediments [staff] told us get in the way – pain points like hierarchies, duplication, silos and competing priorities”. The 1st Octobers moves will not be final; Penn warned staff that “the pace of change will increase over time”, and he sought help directly from staff to further cut out any remaining “obstacles” in the organisation. He also announced that Telstra will also run a series of events from late October through to the end of the year “in 17 locations across the world”. The telco is calling these events “Reimagine” and said they would be an opportunity for staff to “better understand” the T22 strategy and transformation.